Eventually, I remember sitting at my desk with my head in my hands and writing these words. Think about it. If you start from the middle you can change things from the inside out. Think about how backwards the whole thing is. Middle School is the most unstable and foundational time in a kid’s life developmentally. Middle School is the most unstable and foundational time in a kid’s life educationally. Middle School is the most unstable and foundational time in a kid’s life socially. In any other business, you would put the best of the best on that. But what does the education system do? We put the rookies there. We put anyone with a warm body. Then, they work their way to the AP classes where everybody behaves and works hard! What? Now don’t get me wrong. There are some amazing people who feel like Middle School is the place to be. But you have to admit, there aren’t a lot of people dying to get in. It’s a good thing the church doesn’t think like this…. Oh Wait! As I look around, it is clear that not only have we minimized the importance of these unstable (yet foundational) years, many of us have neglected the need altogether. Most churches I talk to have eliminated or never considered a Middle School Ministry. They mix them in with kids that are too young, or students that are too old. 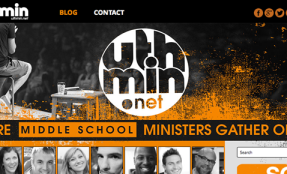 If they do have a Middle School Ministry, it is the least funded and least supported ministry at the church. Where does the new guy/gal go? What happens when he/she develops? 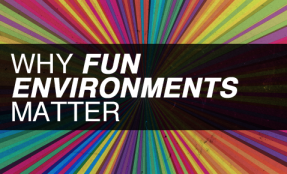 What does their environment look like? Let’s just stop and think about it. If this is the most unstable and foundational time in a child’s life developmentally, educationally, and socially, what do you think that means to a Middle School student spiritually? Middle School is the last preventative ministry. Middle School is the last time the cement is still wet. Middle School students needs the best of the best to navigate this unstable and foundational time. It’s time we did something. And here is how I feel…. If anybody were REALLY serious about fixing a problem in the church (just chose one that the church is facing…maybe the exodus of our 18-24 year olds) they would start with Middle School. I, for one, am ready. Are you? Post originally published by XP3 Students.